InPol Ear is an integrated headphone amplifier in pure Class A, with a fully balanced latest generation double InPol. The twin match valve/headphone meets the highest quality of the sound, entrusted by the tubes with a low power demand, typical of the headphones. Listening by headphones through this amplifier means to start a journey to search for sound fullness conveyed by InPol, which also grants a great high-end extent and a strong nature, thanks to two balanced outputs (10 W@ 16 Ohm) and 1 unbalanced output (6 W@ 16 Ohm). Thanks to the features of its circuits, InPol Ear is an excellent fully balanced tubes pre-amplifier. Thanks to the (optional) HiDac Mk2 converter, music lovers who want the best from the latest digital sources will find their demands fully met. InPol (Inseguitore Pompa Lineare - Linear Pump Follower) is a system patented by Pathos Acoustics which has enjoyed great success and won many awards. Inpol devices have a special sonic personality obtainable only by means of this particular circuit design - fully balanced in Class A using a single solid state component in follower configuration, with high current gain and with voltage gain together. The valve amplifier amplifies the input signal voltage and InPol supplies the current to drive the loudspeakers without any further amplification. In this way the signal is entrusted to the valves and becomes a true copy of the original, with all the quality, purity and harmonic content of the original. This technology allows an increase in the theoretical output in pure Class A of between 25% and 50% together with a low output impedance which is fundamental for the damping factor, and further improved by the double InPol. Thanks to the (optional) HiDac Mk2 converter, music lovers who want the best from their latest digital sources - controlled via smartphone or tablet App - will find their demands fully met. 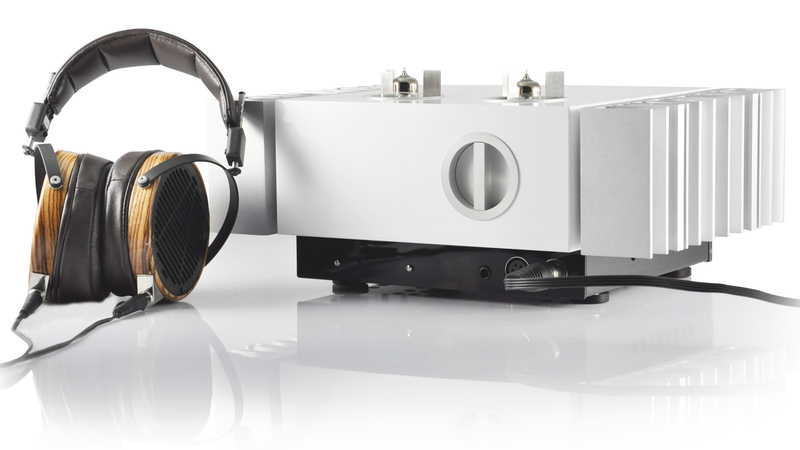 Compact, good looking and powerful: InPol Ear is an ideal amplifier for headphones fans; chassis middle part is finely crafted, while on the sides are shown aluminium heatsinks, shaped to form maker's logo and serve to highlight the carefully protected tubes, placed in the centre of the chassis. Completely handmade in Italy with high quality components, this amplifier is going to be a high design product. It is available in different colours and customized finishes, satisfying the most demanding requests from the market.